The Chicago Cubs had to postpone their game against the St. Louis Cardinals this afternoon because of inclement weather but we are still flying that W high! 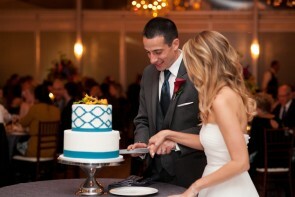 Sarah and Cory’s wedding at Galleria Marchetti was just featured on The Wed Clique! Check out their unforgettable day HERE! Katie and Jeremy’s 1000 paper crane display from last summer has been featured on the Jayne Weddings Blog! 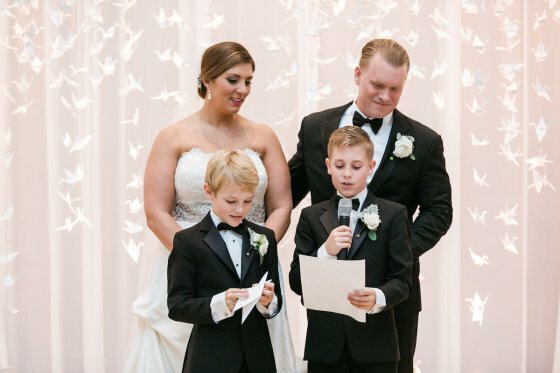 This incredible ceremony backdrop is one of our favorites to date and was created from 1000 paper cranes with the help of some of our favorite vendors! The cranes were folded by the groom’s sons, measured and strung by us at Jayne Weddings, assembled and hung by Elegant Event Lighting, and topped with a beautiful garland from our favorites at Fleur. Read more from their Love of Paper post here. 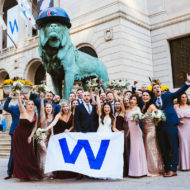 Kassandra Kocoshis (30 and a musician) and Brian Bullard’s (30 and an audio engineer) fall wedding at the Art Institute of Chicago was a vibrant affair bursting with personality and love. The day kicked off with a traditional ceremony at the Annunciation Greek Orthodox Cathedral, a breathtaking backdrop for the couple’s “I dos” and the ideal setting to celebrate Kassandra’s Greek heritage and cultural traditions. To view the rest of the feature, click here to go to The Knot Real Weddings. 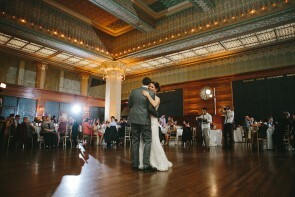 Click here to read more about Kassandra and Brian’s beautiful wedding featured on The Knot! Happy Anniversary, Jamie & Eli and Kassandra & Brian! On a chilly day last October the Five Grain Events team was busy helping two amazing couples tie the knot. 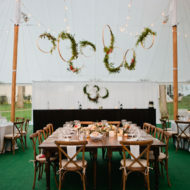 Jamie and Eli celebrated with jewel-toned decor in the newly refurbished tent at Galleria Marchetti. 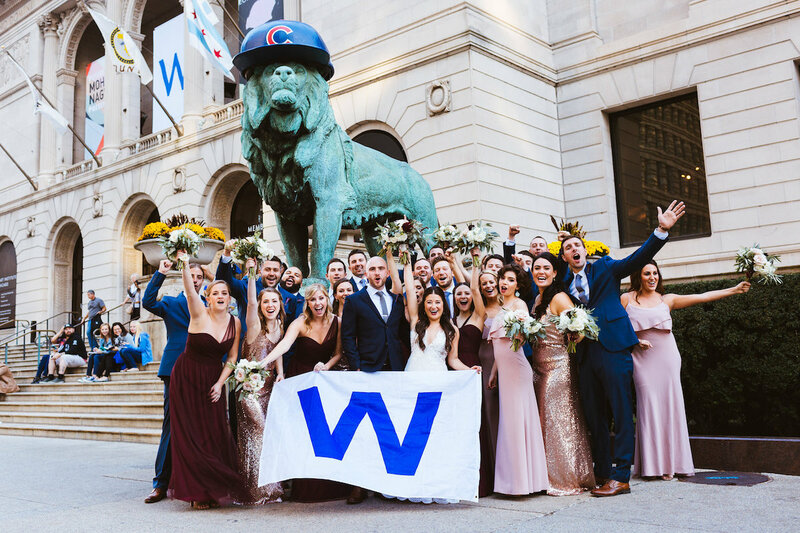 Kassandra and Brian had a traditional Greek Orthodox ceremony at Annunciation Greek Orthodox Cathedral followed by music filled revelry at the Chicago Stock Exchange Trading Room at the Art Institute. Sara and I worked with both couples for many months leading up to their big days, so it’s always nice to reminisce about the culmination of all that planning! We wish all four of you the best–happy celebrating! Kassandra and Brian’s Vibrant Wedding at the Art Institute of Chicago 10.18.14 Jamie and Eli’s Jewel-Toned Celebration at Galleria Marchetti 10.18.14 Happy Anniversary, Emily & Bud; Julia & Josh; and Sara & Kevin!